I enjoyed coloring eggs for Easter, but I did not like to eat them. My mom introduced me to the creamy texture of Deviled Eggs, and bam ... I loved hard boiled eggs. She showed me how to make them, and of course, she didn't have a recipe. 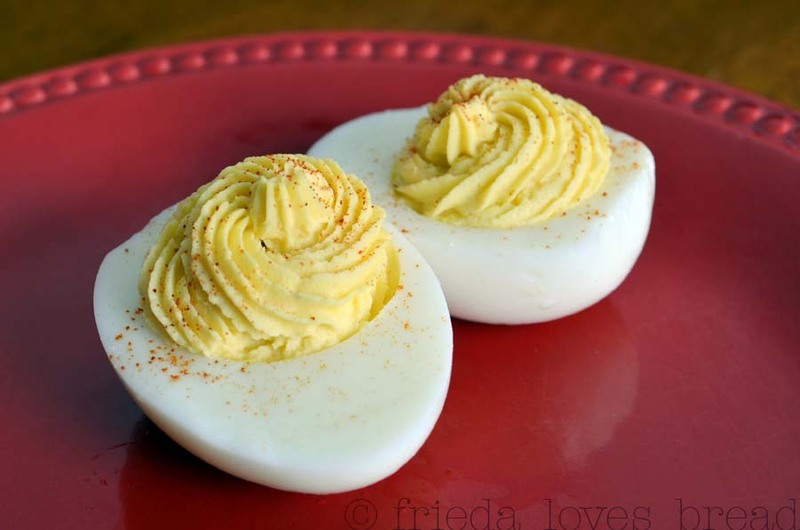 I have been making these hard boiled eggs for years without a recipe, and decided to write one up for you. It starts with the Perfectly Hard Boiled Egg, using my mom's fool-proof method and Julia Child's fool-proof ice water/boil/ice water bath method for easy peeling. If you have a pressure cooker, it's even easier! They peel so well! You can find the method HERE. 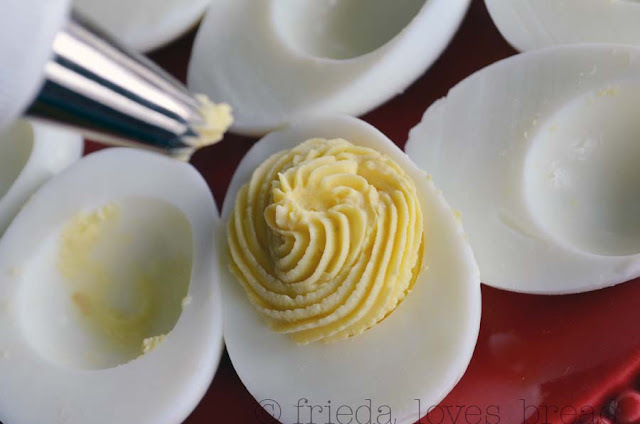 A sharp paring knife cuts these in half easily, while a small serving spoon gently coaxes out the yolk. Use mayonnaise, Miracle Whip or even a combo of the two, whatever floats your boat. 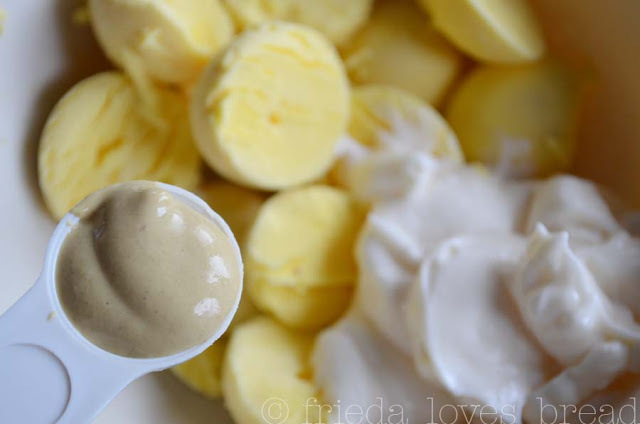 Mustard is a given and I have used all kinds, yellow, Dijon, honey mustard, or spicy brown. Mash the yolk mixture until creamy. Give this job to your kids. They'll love doing it! Use a decorating bag to fill the eggs if you have one. 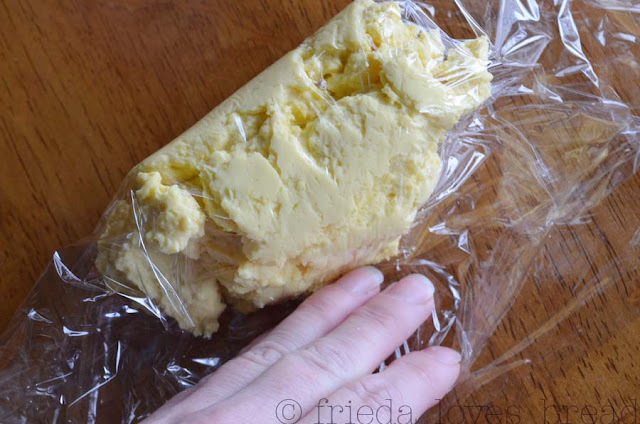 I love this TIP to frost cookies ~ it means NEVER having to clean your decorating bag ~ it works very well with deviled egg filling! 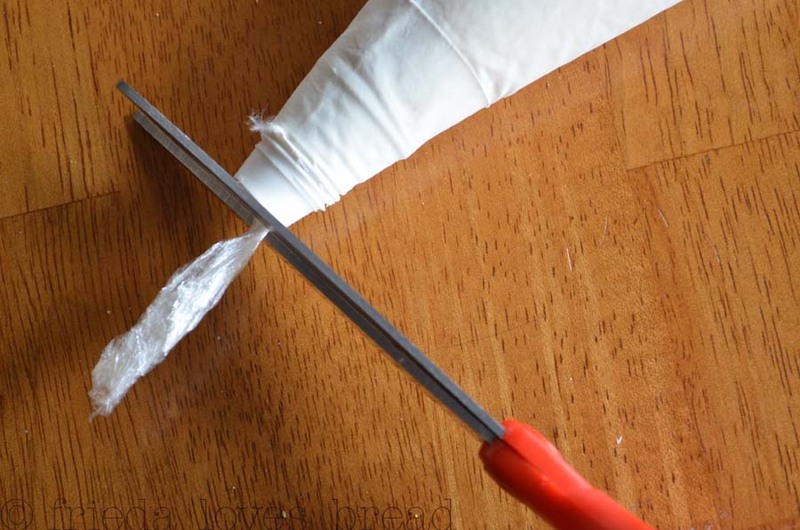 1) Put your filling in the middle of a sheet of plastic wrap. 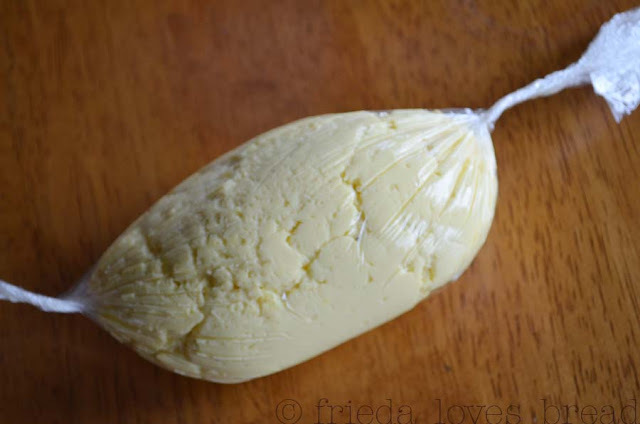 2) Fold the plastic wrap over and seal the filling. 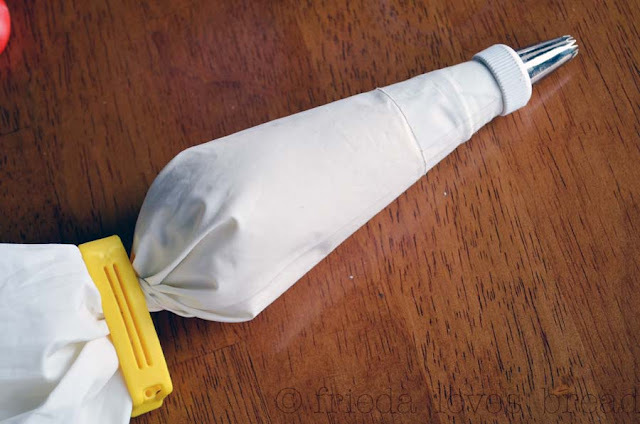 4) Fold down the cake decorating bag part-way, insert one twisted end into the bag and pull through the hole as snug as you can. 6) Place the open star decorating tip over the hole and twist on the collar. 7) Twist the top of the decorating bag and place a rubber band around it ~ or use these IKEA clips! Now you are ready to decorate! Swirl the filling into each of the empty eggs. Don't be shy or stingy. Fill 'er up! When you are done filling the eggs, simply unscrew the decorating tip, collar, pull out the plastic wrap and toss. 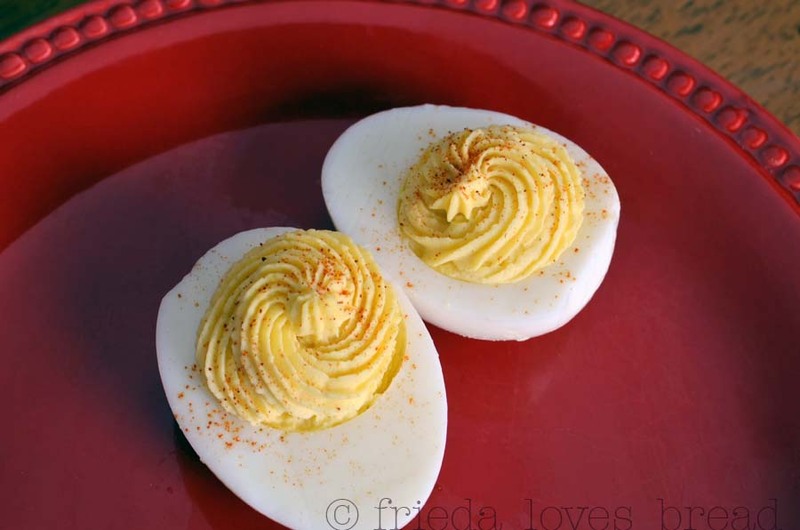 Sprinkle eggs with paprika: smokey, Spanish, whatever paprika you like. Here's another TIP: Sprinkle HIGH above the food and it won't look clumpy. Do this whenever you need to top something with sesame seeds, salt, etc. 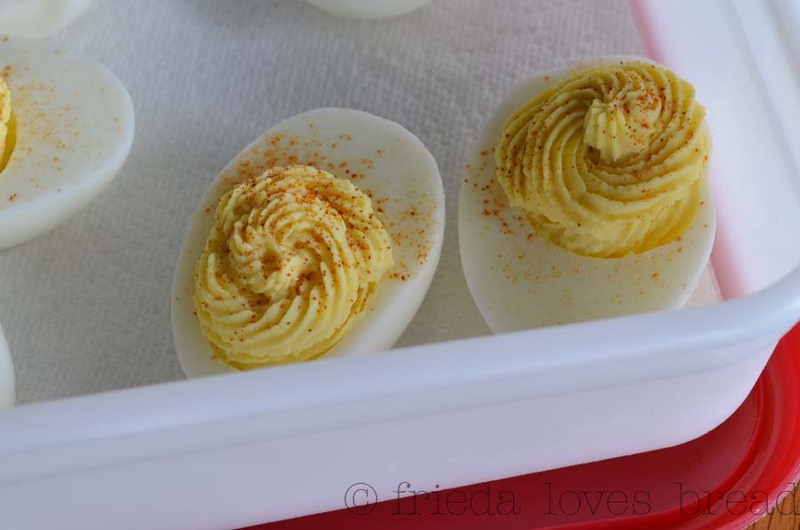 If you are taking these eggs to a gathering, leave some eggs without paprika ... I'm a people pleaser. 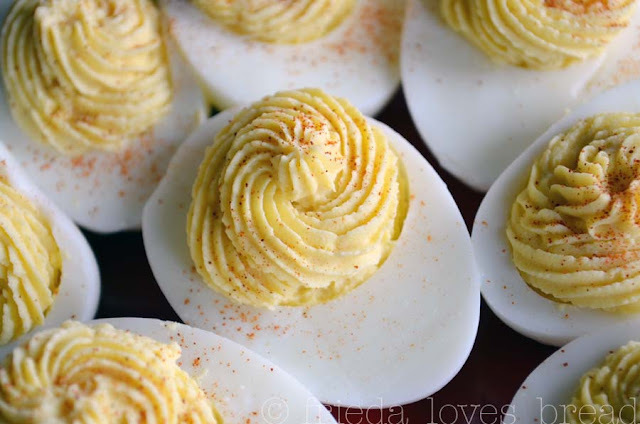 You don't need a fancy egg platter to transport these lovely eggs to a brunch or gathering. 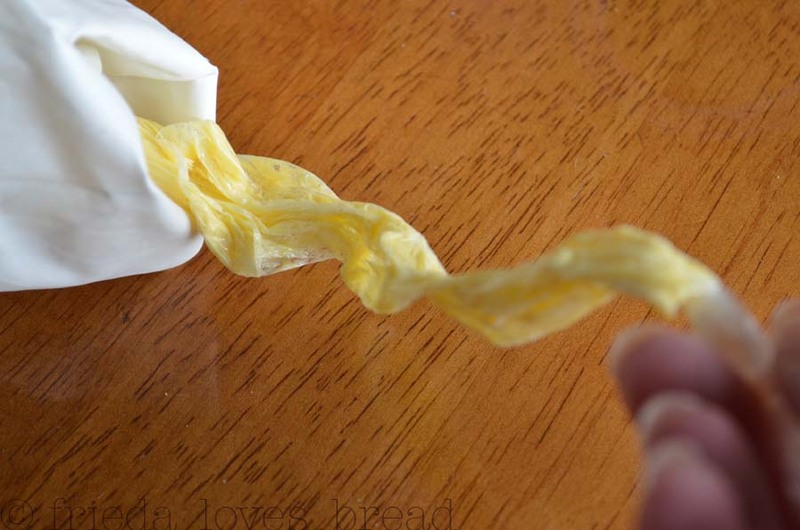 Simply line your container with a double thickness of paper towels and your eggs will keep their pretty shapes. There you have it ... beautiful, simple, and classic Deviled Eggs. Even a kid will gobble them up! Slice hard boiled eggs length wise. 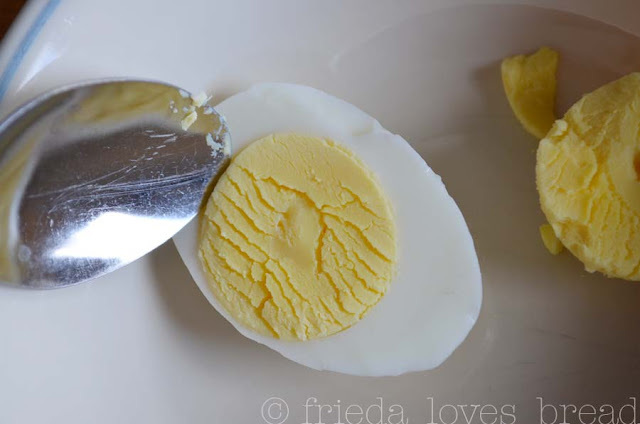 Remove yolk gently with a small spoon. 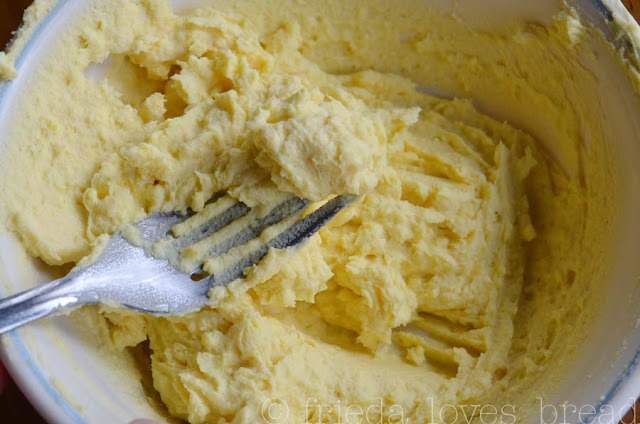 Mix mayonnaise, mustard, salt and sugar over egg yolks, mashing with a fork until smooth and creamy. Spoon into centers of egg white or use decorating bag with a large open star tip. Store in fridge up to two days. 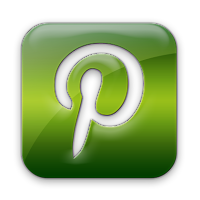 TIPtastic post, Frieda! I've been good with the how to get the perfect peel and hard boiled, but I LOVELOVELOVE the how to not have to clean your decorating bag. 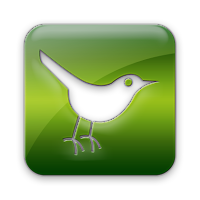 Seriously, the main reason I stopped using one was the staining and yuk of it all. Also, sprinkling from a distance to garnish...kewl. You. are. a. genius. 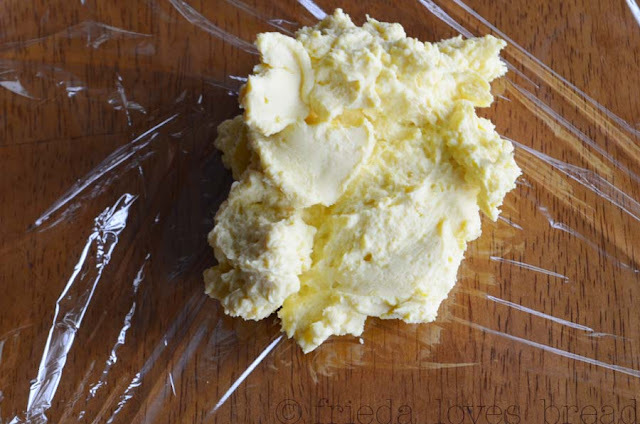 I HATE cleaning my frosting bags--they are such a pain. Definitely will try this method. Thanks! You are AWESOME!!! Thanks for sharing this tip. What a great way to do this! I love deviled eggs! Haven't had them in years. Now I'll have to make them. 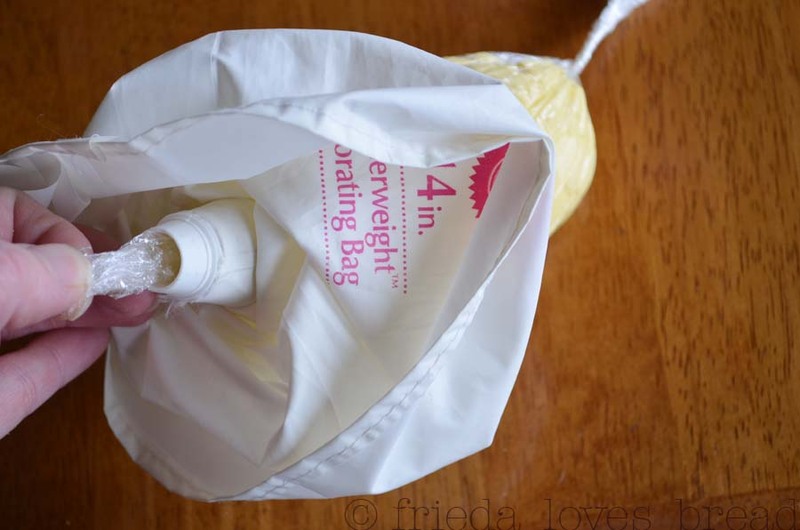 Brilliant idea to line your bag with plastic wrap!! So step 3)... hilarious...of course I've snapped a towel. 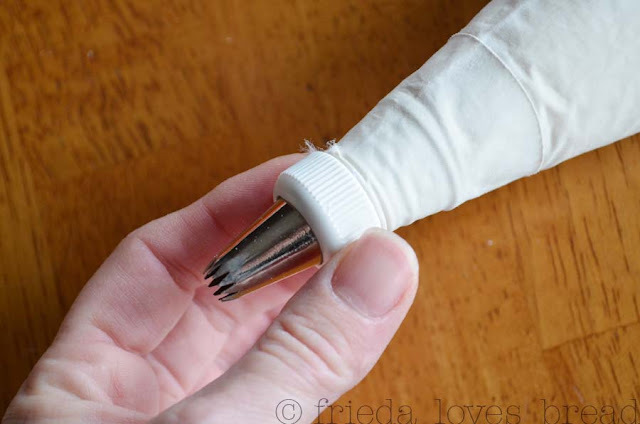 This tip on the piping bag is stellar!